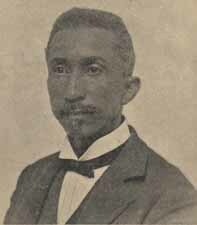 Charles Octavius Boothe, b. 1845 The Cyclopedia of the Colored Baptists of Alabama: Their Leaders and Their Work. Birmingham: Alabama Publishing Company, 1895. African American Baptists -- Alabama -- Biography. African American Baptists -- Alabama -- Clergy -- Biography. African American Baptists -- Alabama -- History. African Americans -- Alabama -- Biography. Baptists -- Alabama -- Biography. Baptists -- Alabama -- History.